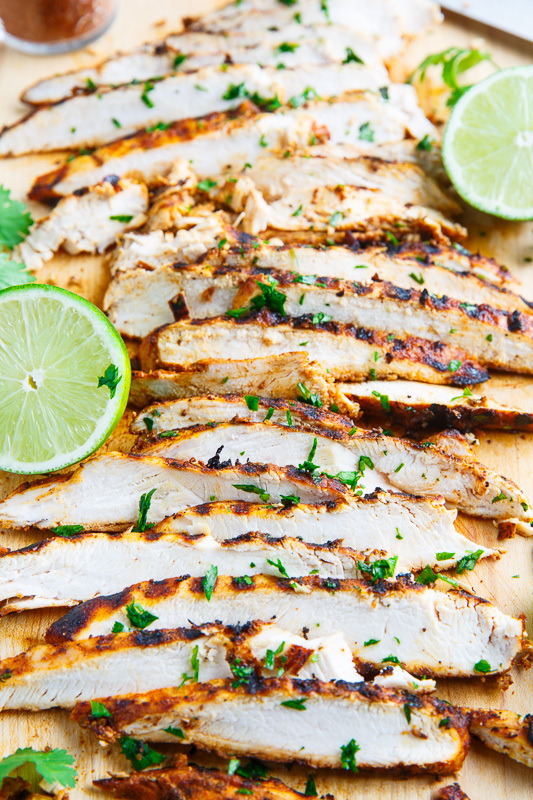 A quick and easy taco lime grilled chicken that’s just packed with flavour! 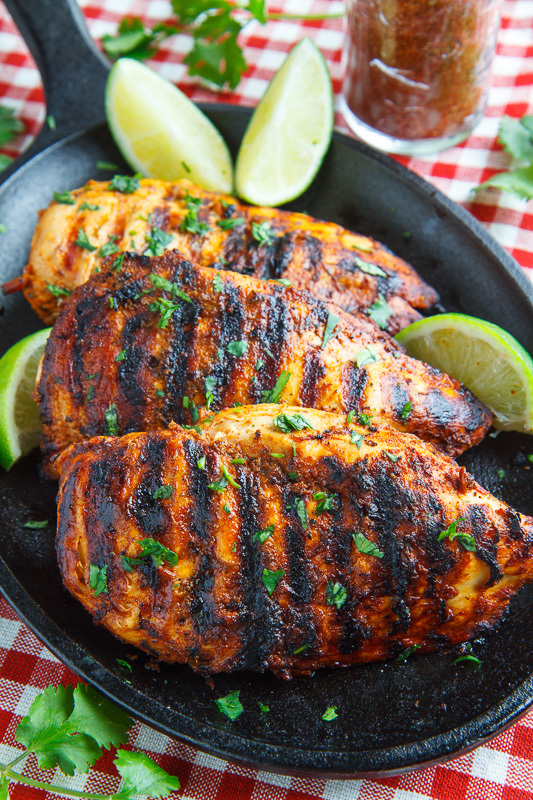 While it’s still warm enough to do some grilling I got out and did some to make this taco lime grilled chicken using my homemade taco seasoning! 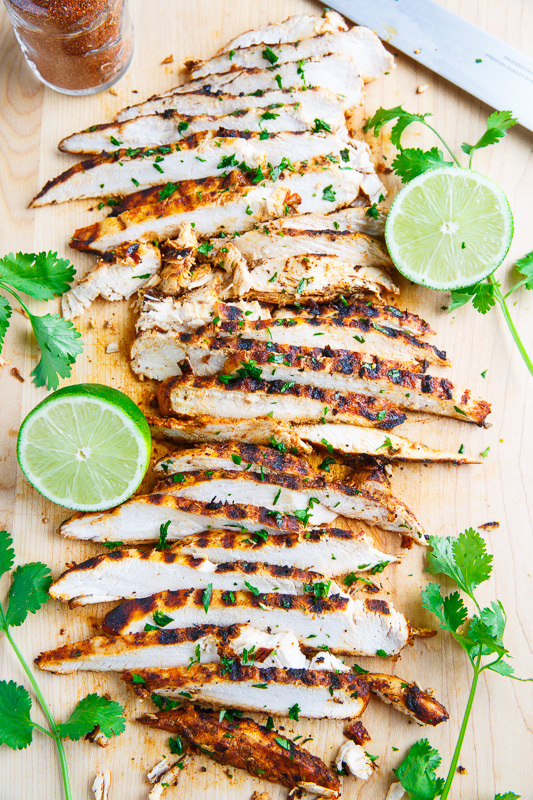 This taco lime grilled chicken is super easy to make, you just marinate the chicken in the taco seasoning and some lime juice, grill it and you are good to go! You can serve these tasty chicken breasts as is or slice them up and use them in anything from tacos, to burritos, quesadillas, etc. I like to make larger batches so that I have leftovers to use in other recipes requiring grilled chicken. 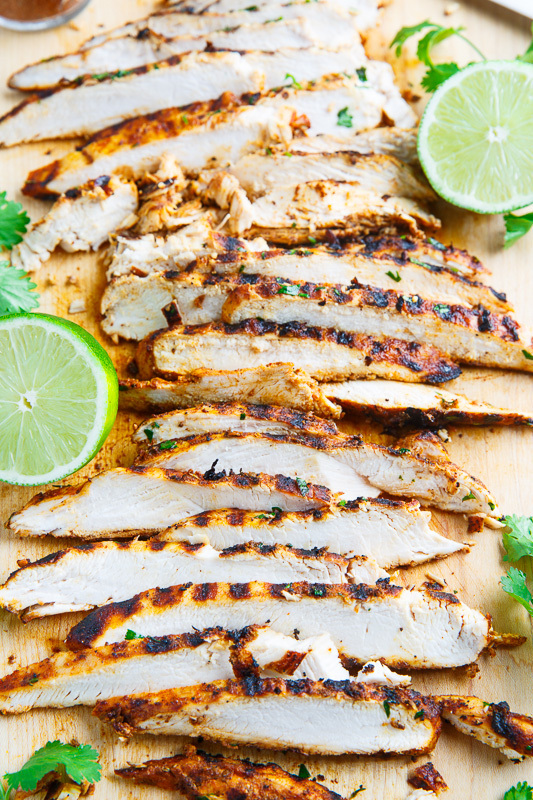 This taco lime grilled chicken is one tasty way to enjoy some of the dwindling summer grilling days! fab flavors!! hanging on to summer all the ways we know how! This is the way chicken should be prepared! Would be so delicious on top of salad, too! A few months ago you posted a pic of Mushroom Quesadillas with Chipotle Lime Crema – but I've never found the recipe on your blog. Any chance you might post that one sometime soon?? "processed additives" so if you would like to avoid this I recommend mini blending a chipotle in adobe sauce with the juice of one lime and marinade and do everything else the same. And it is wondrous in green salads too. Kevin, I'm definitely pinning this one. I emailed you when you posted your homemade taco seasoning and asked you where you found those cute containers with the cork tops that you had your seasoning in, but I never heard back from you. I'm thinking those would make great Christmas gifts. Can you email me and let me know where you found them? gbgaubert@gmail.com Thanks! Grilled chicken is a must for my boys in the summer!